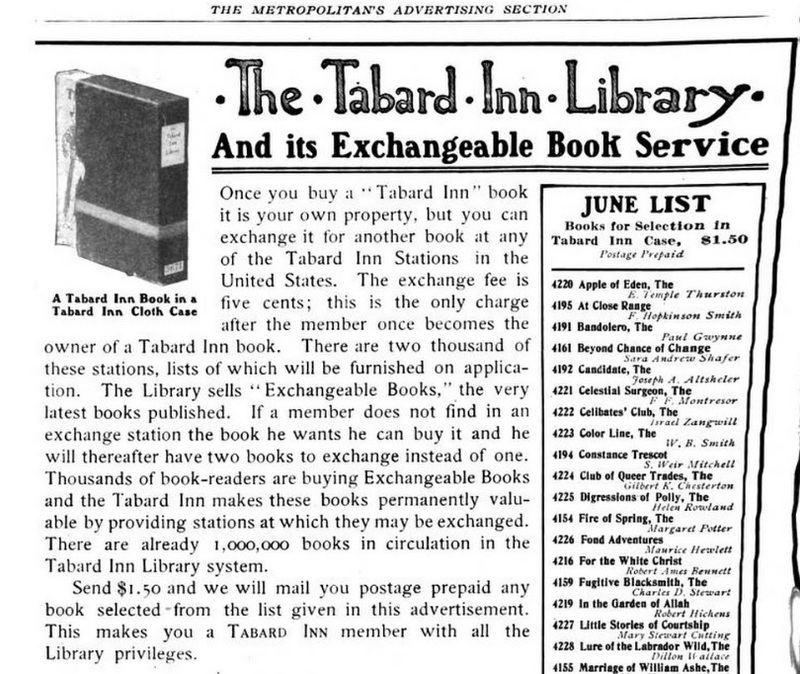 A magazine advertisement for the Tabard Inn Library program from 1905. It is tempting to imagine the original owner of this book selecting it from dozens of other titles at a Tabard Inn book station located in a hotel lobby prior to embarking on their European adventure. For more information on the Tabard Inn Library venture, including pictures of the book stations, visit here. 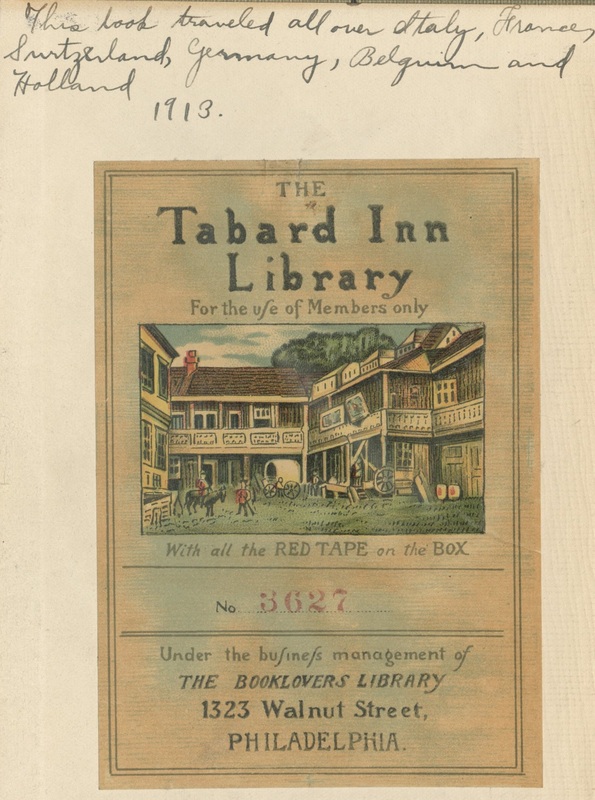 The Library of Congress has an entire special collection of books that, like ISL’s copy, were once part of the Tabard Inn program.